Maharajas’ Express is one of the most well-known luxury trains of India with 5 journeys on offering. 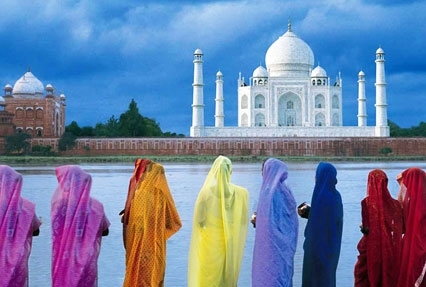 Treasures of India, a tour package of 3 nights and 4 days, is one of its most sought-after journeys. 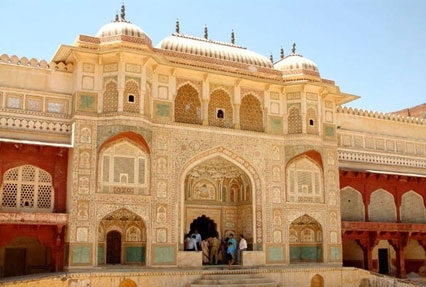 During the journey, you pay a visit to the major tourist attractions of Jaipur and Agra. The itinerary also includes a jeep safari into the Ranthambore National Park, one of the most popular wildlife reserves of northern part of India. Arrive at Safdarjung Railway Station to begin Treasures of India tour aboard Maharajas' Express train. Enjoy a traditional Indian welcome and settle into your cabins after registration formalities. The train departs for Agra. Relish a welcome drink, followed by a sumptuous lunch on the train. Arrival in Agra. Leave the train to visit the magnificent Mughal architecture of the Agra Fort. The evening is when Champagne and snacks are served on the terrace of Taj Khema. While sipping your favorite drink, enjoy a mesmerizing view of the Taj Mahal, a UNESCO World Heritage Site. Dinner is served on-board. Overnight in train. On day 2 of the tour, enjoy an early morning visit to the Taj Mahal, which looks even more beautiful in the rays of the shining sun. Taj, a white-marble mausoleum erected by Mughal Emperor Shah Jahan, is one of the Seven Wonders of the World. Back to train for enjoying sumptuous breakfast. Depart to Ranthambore (Sawai Madhopur). Have your lunch and disembark the train to go to Ranthambore National Park, the largest national park of the northern region of India. 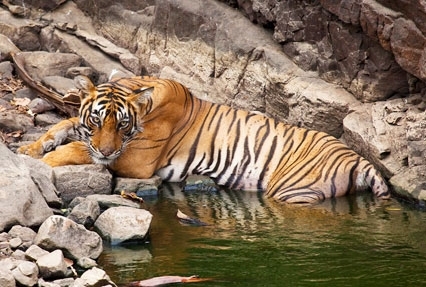 Ranthambore is quite well-known for its high tiger population. During the jeep safari, you spot numerous animal and bird species such as Tiger, Chinkara, Common Palm Civets, Coomon Yellow Bats, Desert Cats, Indian False Vampires, Fivestriped Palm Squirels, Kraits, Cobras, Common Kraits, Common Frog along with around 272 avifauna species. Back to the train for dinner and an overnight stay. The train departs for the next destination, Jaipur- the Pink City. After breakfast, leave the train for an excursion to the Amer Fort. 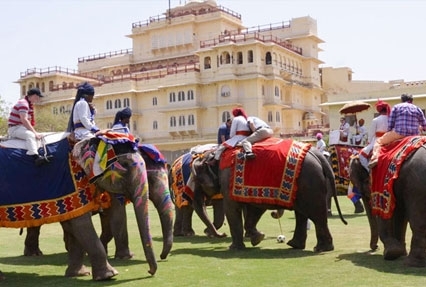 Enjoy an elephant ride go up to its entrance as the fort is situated on a hilltop. Relish lunch at a special venue. After lunch, you have a list of activities to choose from- continue with sightseeing including City Palace, Museum and the Royal Observatory or visit the well-known local bazaars or relax your mind, body and soul in a spa session. The evening is scheduled for an Exhibition Elephant Polo Match. Back aboard train for dinner and an overnight stay. Arrival in Delhi at the Safdurjung Railway Station. After a hearty breakfast, disembark the train for farewell formalities.